KTM has found a way to allow people to put themselves and their mid and top-range KTMs to the test with their Adventure Rally series that’s been traveling the world since 2017. If you’re ever looking for something a little different to, check out the upcoming Adventure Rally dates, including for the US adventure! The American edition of the event, you will head to Breckenridge, Colorado, at the Beaver Run Resort, from September 13 to 15. The 100 to 150-mile-a-day raids will take you through the Rockies’ beautiful scenery. Participation costs between $250 and $350 (with camping) and can be bought on eventbrite. The fee includes seminars, demo rides, navigation files, orange paraphernalia, as well as some of the meals. For an extra $50, you will also have the opportunity participate in the Ultimate Race qualifiers—for seasoned riders only. If you're on the go and don't want to wait until September to experience the best KTM has to offer, the next event on the schedule is taking place in Tasmania, from March 25 to 29. If you're in the area with a KTM bike during that time, you might want to check the event out, but the bookings are already full. You can however, lineup on the waiting list in case a spot frees up. The one you really want to check out, though, is the third European edition of the Adventure Really. The event will take place from June 18 to 20 and subscriptions will open at the end of this month. This time, KTM will be showing you around Bosnia, both on and off the roads. 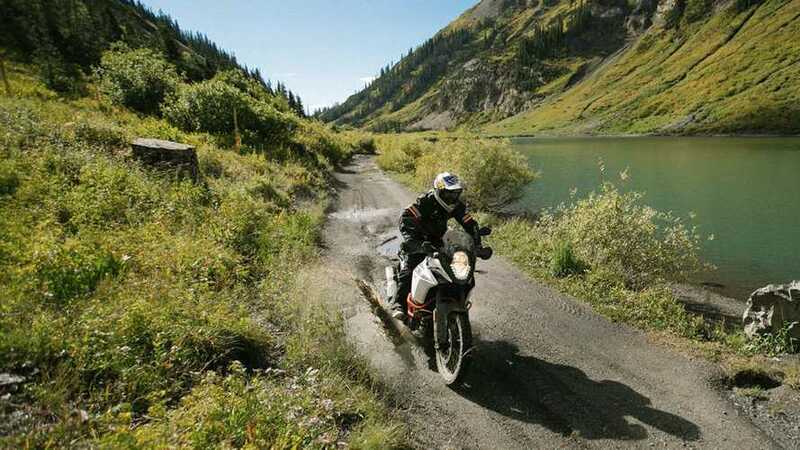 The three-day adventure costs US$840 (€745) and gets you a pretty decent deal: subscription fee includes the GPS files, guides, a set of tires, tech support, as well as lunches and dinners; KTM will even throw in the test ride of their ADV models for good measures. You do have to show up with your own bike, 640cc and up, with a big-enough tank to travel over 150 miles. You are pretty much getting a sweet, semi-private, guided ride through the Bosnian landscape. Whichever adventure you choose—your travel story will definitely top your colleagues’.